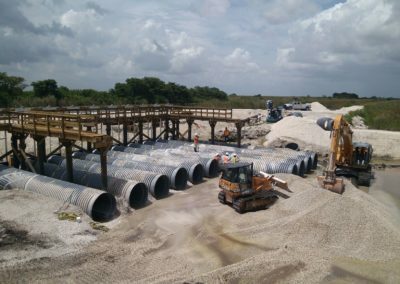 The Water Conservation Area 3 (WCA-3) Decompartmentalization and Sheetflow Enhancement Project (Decomp Project) is designed to restore the natural ecology and hydrology of the WCA-3 portion on the Everglades. 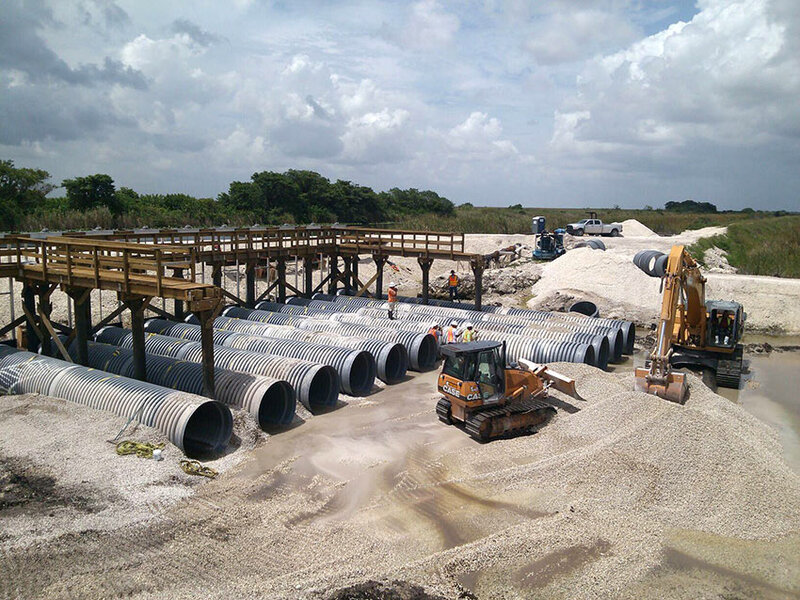 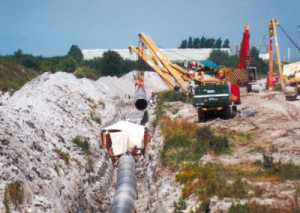 The project required 10 parallel runs of triple wall 60” Ø HDPE pipe in order to provide flow equalization between the two sides of a levee that runs north and south through the Everglades. 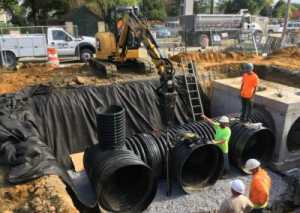 The pipes had to be strapped down in order to prevent floatation during large storm events. 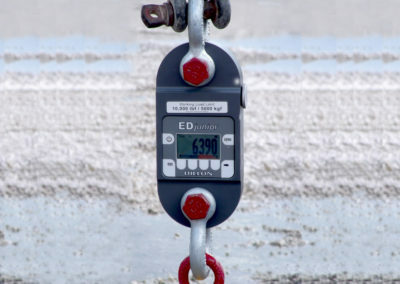 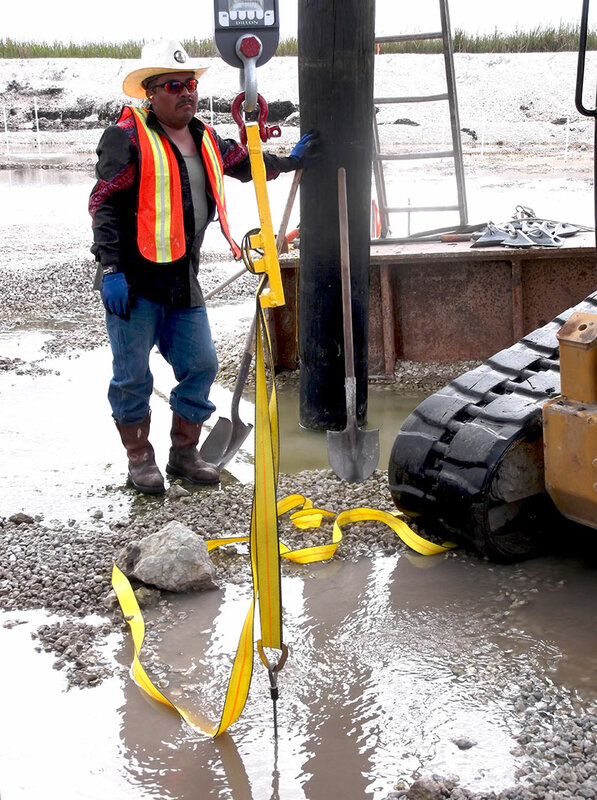 Based on an engineered required load of 12,000 lbs per location, Platipus offered a 10 ton ultimate capacity anchor system that was composed of S8 galvanized spheroidal graphite iron anchors and a combination of 8mm stainless steel wire cable and 50mm nylon webbing. 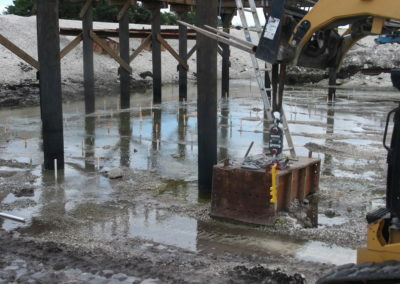 The predominate soil types present on site were solid limerock at the surface and a dense sand layer beneath. 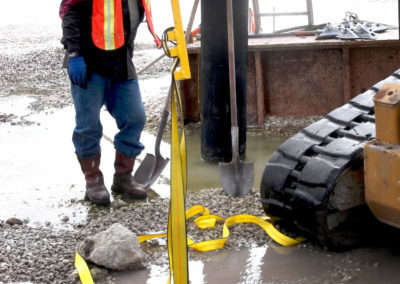 Pilot holes had to be drilled through the limerock in order to drive the anchors to the required depth. 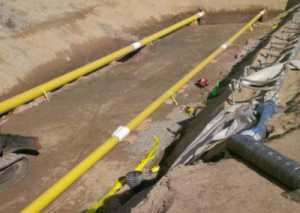 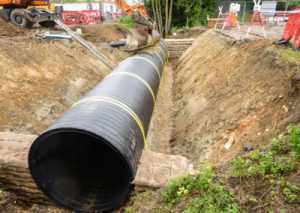 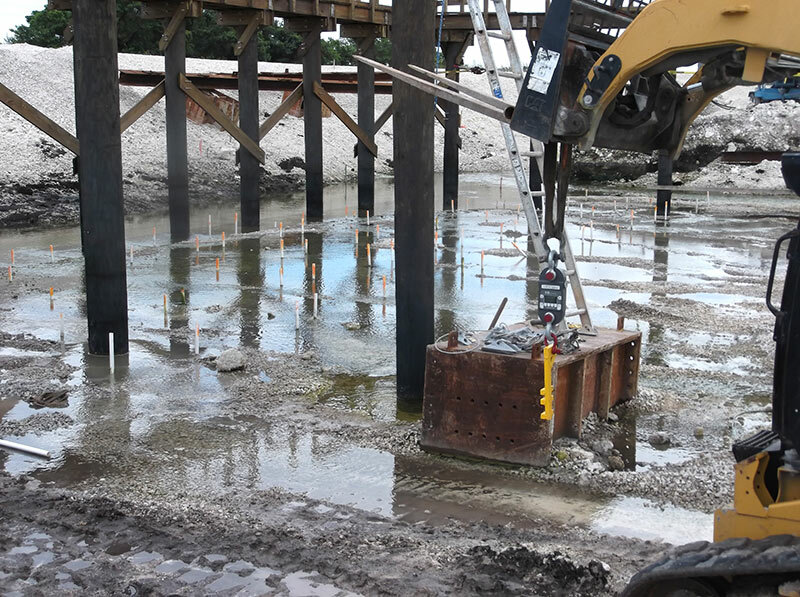 Sixty pipe anchoring kits, or 120 anchors, were installed in 3 days. 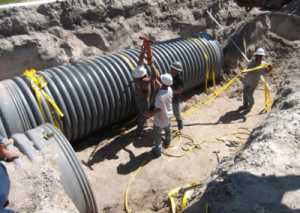 The anchors were driven and loadlocked, the pipe was placed, and then the webbing and buckles were installed. 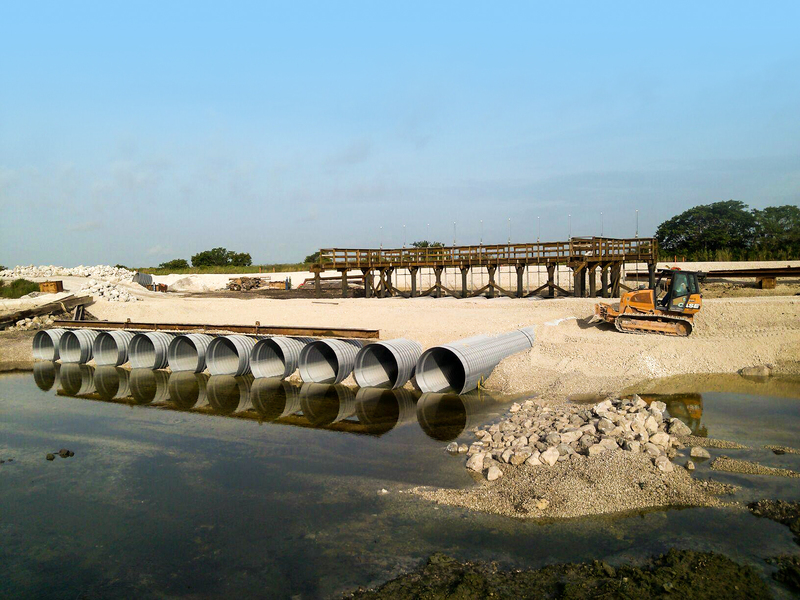 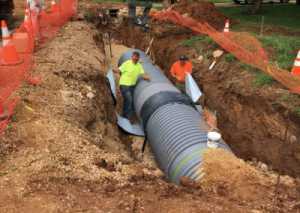 This process was much faster than other competitive systems that involve forming and pouring concrete or filling and placing multiple sand bags over the pipes. 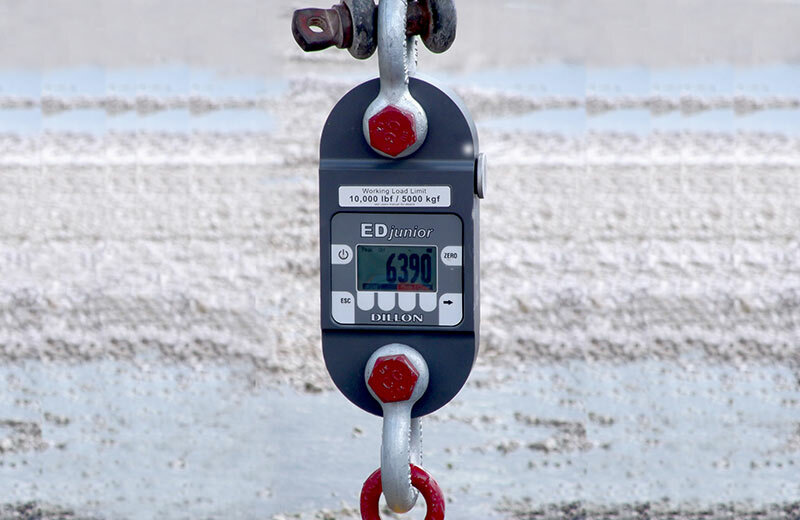 Pipeline Anchor System: 10 Ton System: S08EC galvanized spheroidal graphite iron anchor on 8mm Ø stainless steel cable with delta link, 50mm webbing, and tensioning buckle.